Same Time, Always Behind, an ongoing performance-for-video series, expresses the connective power between two individuals who reside kilometers apart. As a poetic gesture, DiCarlo performs with collaborators living at least one time zone away to witness and document a sunset "together". Performed within the same 24 h duration, each participant documents their respective time zone's sunset, with intentions for the videos to be later exhibited together in an attempt to conceptually bridge and compound time and space. In this iteration, Same Time, Always Behind: Toronto/Eindhoven (II), DiCarlo collaborated with the citizens of Eindhoven. 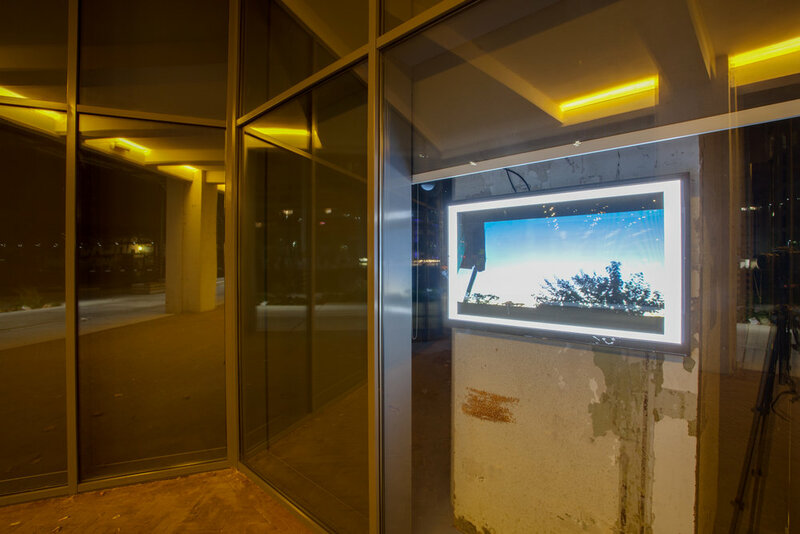 While Dutch participants documented and submitted their Central European Time Zone (CEST) sun set views, DiCarlo live-streamed her bright, Eastern Time Zone (EST) Canadian sky via a project-dedicated website and on location at MU artspace. With more than 6000 km between partnering cities, participants were encouraged to re-frame their experience and remember that their local sunset view was not isolated rather a global unifier in human experience. Six hours later and well into the night, Dutch gallery-goers witnessed DiCarlo’s setting sun on the other side of the world.